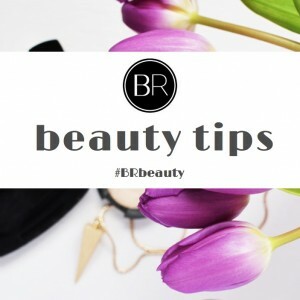 We’ve compiled a list of our top beauty tips. Get summer ready! 3. Try a DIY face mask to nourish the skin – our favourite is honey and yoghurt. 5. If your hair is feeling dry and damaged, try using coconut oil as a conditioning treatment. 6. If you really don’t want to wash your hair, add some dry shampoo and braid it – braids work better in unclean hair anyway! 7. Treat your skin. Give it a break by swapping the foundation for a light BB cream or moisturiser. 8. For a minimal make-up look, stick to neutral eye shadows and a tinted lip balm. 9. Keep your lips hydrated all day by keeping some lip balm on your desk at work. Our favourite is Burt’s Bees Tinted Lip Balm. 10. For a bold, statement lash, curl your lashes and apply a waterproof mascara. These hold the curl better and for extra oomph, add another coat! 11. For an edgy, smokey-smudgey eye, dampen your brush and use a dark eyeshadow. Simply sweep it across the upper and lower lash line and smudge out. 12. Use a berry lip stain on your cheeks for a natural, flushed look. 14. Get the glow! Apply bronzer to both cheeks and eyes for a pretty, sunset-esque look. 15. Give your lashes a boost by adding some false individual lashes to the outer corners. 16. To help your lipstick last longer, place a tissue over your lips and apply a translucent powder over the top. 17. Winged liner problems? Clean up any cat-eye liner smudges with a dampened cotton bud. 18. Make the lips appear fuller by applying some peppermint essential oil to your lipgloss. 19. Save time in the morning by using a spray on moisturiser! We love the Vaseline Intensive Care Spray Moisturiser. 20. Balance out your shimmer. If you’re doing a shimmery eye, opt for a matte lipstick. To prepare for summer, why not book some beauty treatments? Pamper yourself with a revitalising facial and book yourself in for an LVL lash treatment - feel great. Our favourite beauty bloggers Get ready for summer with a routine switch-up!